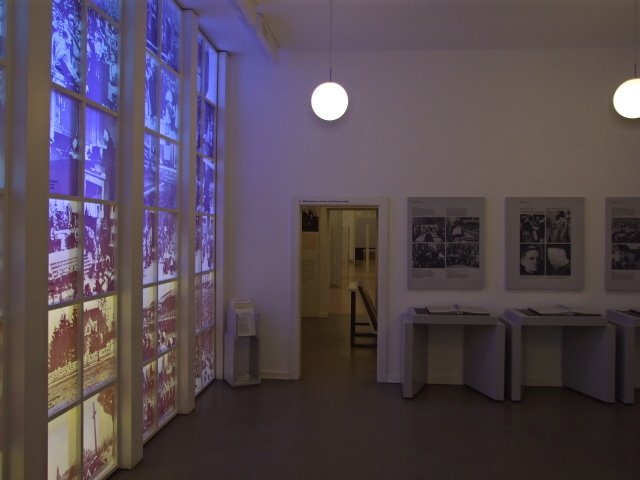 A memorial museum in Berlin about the various forms that resistance against the Nazi dictatorship took between 1933 and 1945 in Germany, including the assassination attempt on Hitler on 20 July 1944 by Stauffenberg. The site is the very place where this coup was plotted and where, after it had failed, the main conspirators were summarily shot. More background info: Resistance against a dictatorship can take a wide variety of forms, many of which are small, hidden things, not just high-profile acts such as assassination attempts. And there was indeed resistance in Nazi Germany at both these levels as well as various ones in between, but very little of it is known, except at best for a small number of special cases. Many people across the globe aren't even aware that there was any kind of resistance against the Nazis, that it wasn't an entire population that was duped into following that Austrian madman with the ridiculous moustache into fascism, world war and the Holocaust. Not everyone was a willing helper. Too many were, of course, and resistance was very much the exception, not the rule. But it did exist – despite draconian repression and brutal retaliation measures whenever any resistance was discovered by the powers that were. Open resistance meant openly risking one's life, so it had to be underground, indirect, secret. Still, too many did pay the ultimate price for their opposition. Chuck Thomson, in his book "World War II Sites – European Theater" (p 84), refers to the German resistance movement as "negligible", but that's a little unfair – especially after having gone through the extensive stories recounted at this exhibition. I suppose the author didn't know enough German to appreciate the full extent of resistance in Germany. Of course, you can claim that no resistance attempt achieved anywhere near as much as it should have (assassination attempts failed, resistance fighters were found out, arrested and executed, counter-propaganda campaigns had little effect), but that's not quite the same as saying it was all "negligible". Anyway, there wasn't ever a single, unified resistance movement within Germany (as there was in France or Poland), but instead numerous "pockets" of more or less organized efforts that unfolded largely independently of each other. Amongst the somewhat better known cases are the Munich White Rose student movement and their flyers (see White Rose Memorial Centre) or individuals such as Dietrich Bonhoeffer or Julius Leber. Probably the most widely known act of resistance has to be Claus Schenk von Stauffenberg's July 1944 assassination attempt on Adolf Hitler plotted by a group of high-ranking officers within the German military from the very building that today's Memorial Centre is housed in, which was then part of the German War Ministry complex. The bomb intended to kill Hitler at his Wolfschanze HQ in Poland unluckily failed to do so, and thus the whole coup, code-named "Operation Valkyrie", was unhinged. Back in Berlin, Stauffenberg and his immediate co-conspirators were summarily executed by firing squad the same night here in the courtyard of the Bendlerblock building. The story has been the subject of numerous movies, including the recent (2008) Hollywood version "Valkyrie", which controversially involved the use of the original Bendlerblock courtyard in the on-site shooting of the scene of Stauffenberg's and his co-conspirators' execution. The casting of Tom Cruise to play the role of Stauffenberg was also subject to protests (mainly because of his Scientology connections) and criticisms (for his wooden acting). The film as a whole was also (rightly) criticized for its historical inaccuracies and a simplified portrayal of Stauffenberg, but was on the other hand welcomed for making an American/international audience aware of such resistance efforts within Germany (that were hitherto not exactly at the forefront of historical coverage of the Nazi period). 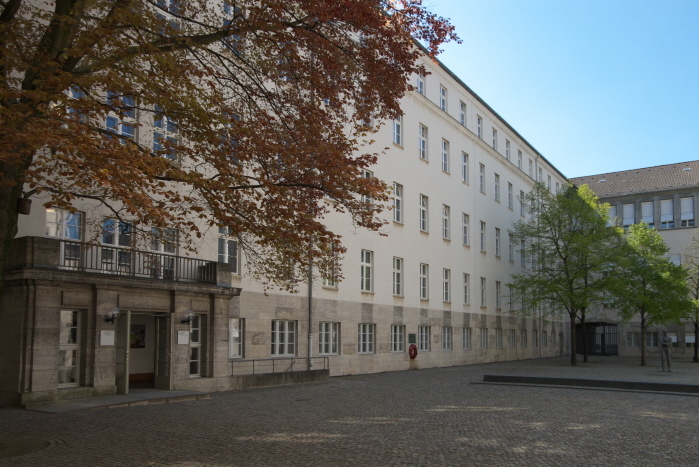 As early as 1953, the courtyard of the Bendlerblock was designated a memorial site – and a wall plaque marks the spot where the July 1944 conspirators were shot. In addition a statue generally symbolizing resistance was erected in the centre of the courtyard. It wasn't until 1989, however, that today's permanent exhibition of the German Resistance Memorial Centre was established. The German Resistance Memorial Foundation also runs three other related sites in Berlin: the Plötzensee Memorial, the Museum Otto Weidt's Workshop for the Blind, and the 'Silent Heroes' memorial centre. The permanent exhibition in the main museum was modernized, and finally made (mostly) bilingual, in 2014. Most of the exhibition is now bilingual, i.e. its texts have been translated into English. Moreover, scores of entirely new video flat screens and computer stations have been added as well as other, often interactive, contemporary change-of-media elements, including audio stations with a choice of English or German. The computer touchscreens, however, offer only German-language content as far as I could tell. Even though the style and look of the exhibition has been substantially updated, it remains an extremely text-heavy affair overall. The amount of text was already overwhelming in the old exhibition. Now some of it has been transferred from old-style text-and-photo wall panels to screens and made more interactive, but the sheer amount of what there is to read has not been reduced, but rather the opposite. You get even more to get lost in. That may be great news for all who what to learn about the subject in the fullest detail – but for those who only want an overview, it is still a very demanding museum to navigate. In order to skip and skim sections you'd already have to have a fairly good knowledge of the subject matter, otherwise it can get confusing and taxing. Casual visitors may well find this too much and may end up with just a kaleidoscopic but random brainstorming experience. In that respect, the modernization of the exhibition has perhaps been less successful than it could have been. Maybe it could have been a case of less is more. Instead it is more and in more media formats. That's why I said it is not for everybody. That hasn't changed. If, however, this subject is of special interest to you, and you come with some previous knowledge that you may want to deepen, then you probably won't find a better place to delve into the topic anywhere else. It's still tough going on the reading front, but nowhere else would you get such a comprehensive coverage of all the facets of German resistance in that dark period of the country's history. The authenticity of the place itself lends it credibility too: it was indeed here, in the so-called Bendlerblock of the then War Ministry (Army High Command), that the conspirators mainly plotted Stauffenberg's assassination attempt on Hitler. And it was here that Stauffenberg and three of his co-conspirators were shot in the courtyard after the plot had failed and they had been found out. Others committed suicide by shooting themselves in their offices – and some of these spots are also marked by wall plaques indoors, as are the locations of the offices of the various conspirators. The text on the plaque marking the place where the execution of Stauffenberg et al took place roughly translates as: 'They died for Germany 20 July 1944' – followed by a list of names. The main permanent exhibition is housed on the second floor of the Bendlerblock building (the ground floor and first floor are occupied by various related organizations' offices, such as the International Auschwitz Committee). It occupies numerous rooms of different sizes – and different design: some are rather stark and sober, others feature more interior design, including some daring coloured lighting installations. The latter is probably an attempt to "liven things up" a bit, in order to counter the often rather dry text-heaviness. It works only to a limited degree. Thematically the exhibition is subdivided into a plethora of different thematic sections, including "Resistance from the Labour Movement", "Resisting on the basis of Christian beliefs", "Resistance in the Arts and Sciences". Various specific resistance movements, such as the "White Rose", the "Red Orchestra" or the "Kreisau Circle" are given separate sections too. Countless individuals are portrayed, some relatively obscure, others much better known. The 1944 attempted coup and planned assassination of Hitler is a topic that is predictably given particularly extensive space, including separate sections about Stauffenberg, the plotting of the coup, the plans for government after the take-over of power, and the failure of all of this. Another special case given extensive coverage here is that of Georg Elser – the lone assassin whose bombing of the Bürgerbräukeller in 1939 ended equally lucky for Hitler: having cut his speech short he had already left early before the bomb went off – see under Munich. 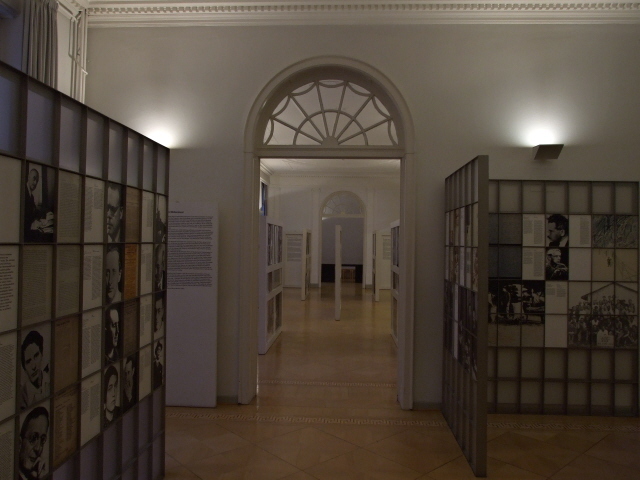 Apart from endless texts, both on panels and now also on various screens, there are also short films as well as numerous photos and documents – some additional material can be accessed from various drawers and folders. Leaflets summarizing individual sections/topics and facsimile documents are supplied in some places – and you are asked to pay 10 euro cents for each one you take. You can also purchase a box set of the lot for five euros. In addition the museum shop has plenty of books and brochures on various sub-topics, including a cabinet with about a dozen publications in English. The Centre also hosts/puts on special events such as lectures and seminars – but these are primarily aimed at a German(-speaking) audience, especially school groups. And there are also regularly changing temporary exhibitions to complement the main one. Location: in the middle of Berlin, at Stauffenbergstraße 13-14 (called Bendlerstraße until 1955) just south of the central Tiergarten park and about half a mile (800 m) west of Potsdamer Platz. Access and costs: a bit hidden, but fairly easy to get to; free. Details: To get to the Memorial Centre you could walk it from e.g. Potsdamer Platz (which is one of central Berlin's main transport hubs) – follow Potsdamer Straße westwards, and after its sharp bend south turn right into Sigismundstraße and walk it to the far end. This takes you to Stauffenbergstraße right opposite the embassy of Egypt. From here head south (i.e. turn left) – the Bendlerblock is next door (to the south). 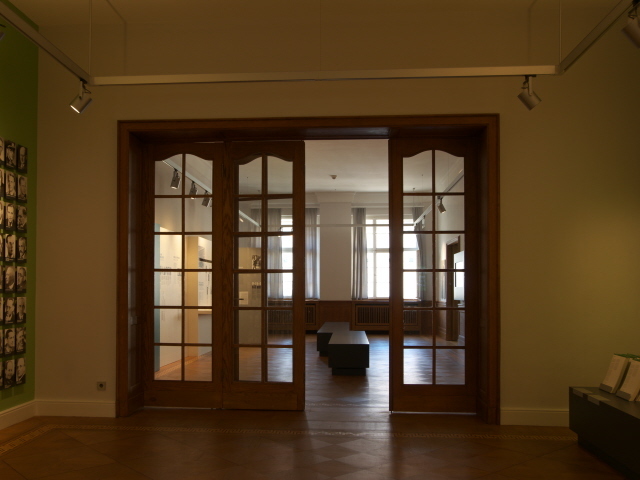 The entrance to the exhibition (second floor) is on the right side of the inner courtyard. The plaque marking the execution spot is to the right of this. To get closer to the location you could also take a bus: line M29 has a stop closest to the Memorial Centre and named after it: "Gedenkstätte deutscher Widerstand". From there it's just a few steps north on Stauffenbergstraße. The line is also useful in that it connects to Checkpoint Charlie in the east and Kurfürstendamm in the west. Also useful is line M85 – its stop Kulturforum is only a few minutes walk away; similarly line 200 which goes down Tiergartenstraße – and from the stop of the same name it is also just a few minutes walk. Check the BVG (.de) website for details and times. Opening times: daily, weekdays from 9 a.m. to 6 p.m., open late on Thursdays until 8 p.m., at weekends 10 a.m. to 6 p.m. Closed over Christmas and New Year's Eve/Day. There are also free audio guides in a range of languages (in German, English, French, Spanish, Italian, Polish, Turkish). Guided tours can also be arranged and are free as well, but these require at least 6 to 8 weeks prior notice (through their online form). Apart from German there are also English, French and Italian tours theoretically available. Time required: If you were to read everything that's presented here (which is downright impossible), then you could probably spend days here, if not weeks. A drastically more selective approach makes much more sense, though. It's really impossible to give even a rough generalized estimate here – I spent something like two hours here, being rather erratically selective. Combinations with other dark destinations: Just round the corner, or rather: a short walk north is Tiergartenstraße – the street that the Nazis' "euthanasia programme" Aktion T4 was named after. The building from where the programme was administered was destroyed in WWII, but a memorial plaque/panel pointing out the historical significance of the place (and highlighting Christian Wirth as one of the perpetrators) can be found behind the bus stop opposite the famous Berliner Philharmonie concert hall near the corner of Herbert-von-Karajan-Straße and Tiergartenstraße. UPDATE 2016: a whole new dedicated T4-memorial site has now been added, right in front of the Philharmonie. It's almost like an open-air mini-museum exhibition, complete with interactive screens and audio-visual elements. Fairly easy to reach from the Memorial Centre by bus (line M29, going east) are Checkpoint Charlie and the surrounding sites – of which the Topography of Terror is probably the most significant, thematically speaking. It represents the other end of the spectrum – the nerve centre of what the resistance efforts were fighting against. And in fact some of the conspirators of the July 1944 plot were held here and interrogated before being executed, mainly at Plötzensee. In the other direction, bus M29 goes all the way to West Berlin's main boulevard Kurfürstendamm, where the "Story of Berlin" exhibition is located, which is almost the antithesis of the German Resistance Memorial Centre with regard to how it is designed: a multi-media-heavy set-up that is marketed as an "experience" rather than a museum exhibition. The church ruins and memorial of the Kaiser-Wilhelm-Gedächtnis-Kirche at the eastern end of Kurfürstendamm, on the other hand, is a sober reminder of what the war meant for the city of Berlin. Closer to the German Resistance Memorial Centre, reachable on foot, is Potsdamer Platz, with its few Berlin Wall remains, and north of that, on Ebertstraße, the Holocaust Memorial. Further north yet, are the Reichstag and one of Berlin's Soviet War Memorials. The latter also makes a kind of thematically fitting combination, given that the principal goal of the July 1944 conspirators was precisely to prevent the Soviet invasion of Germany. For other sites further away, see under Berlin in general. Combinations with non-dark destinations: in general see under Berlin – closest by is the Berlin Philharmonie – the architecturally striking concert hall that is the "home base" of the Berlin Philharmonic Orchestra, one of the world's most renowned! It's on the corner of Tiergartenstraße and Herbert-von-Karajan-Straße. Just a few hundred yards further east is Potsdamer Platz with its stunningly glitzy modern architecture, including the tourist magnet that is the Sony Centre. Just north of the Memorial Centre is the edge of Tiergarten, the most expansive central Berlin park, which stretches out between Berlin's renowned zoo, at the park's south-western end, to the landmark Brandeburg Gate at the eastern end of the main avenue that slices the park in two: the Straße des 17. Juni, with the tall column of the Siegessäule roughly in the middle (site of many a large event, from the Berlin "Love Parade" mass rave to Barack Obama's speech while visiting Berlin, shortly before he was elected president of the USA).